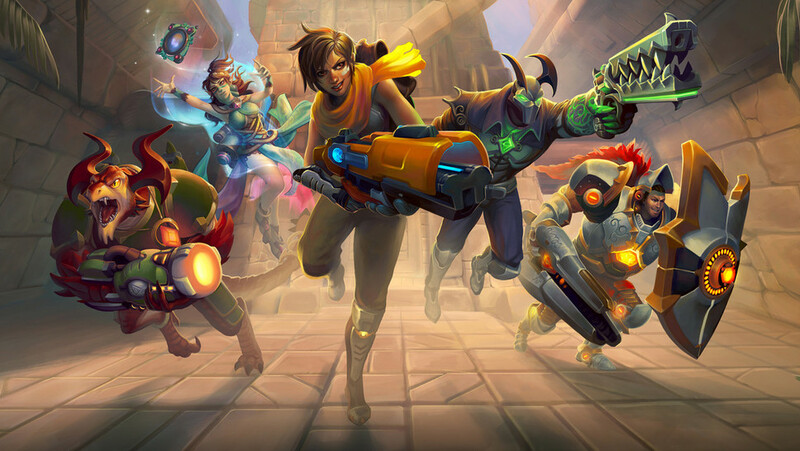 Dan takes to the battlefield in Hi-Rez's Hero Shooter. Update: The free-to-play version is now up on the Nintendo eShop. Check it out and let me know what you think of it! I got into Overwatch in a big way last year and it was pretty much all I played for about four months solid. But the novelty eventually wore off for me and I found myself getting a bit bored with the roster of heroes on offer. 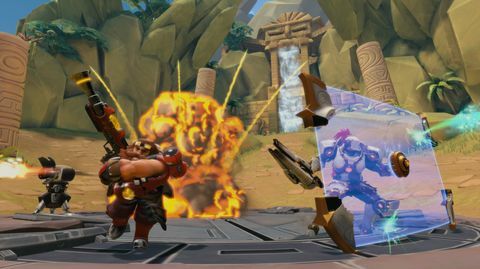 Enter Paladins, a hero shooter by Hi-Rez Studios that, at a glance, bears more than a striking resemblance to Blizzard's mammoth. Dig a bit deeper however and Paladins really starts to shine. I was lucky enough to get the Founders pack and was greeted by an overwhelming amount champions to try out. Two weeks later and I'm still yet to play all of them, but I've definitely discovered favourites that I can see myself sinking some big hours in to in the coming weeks. 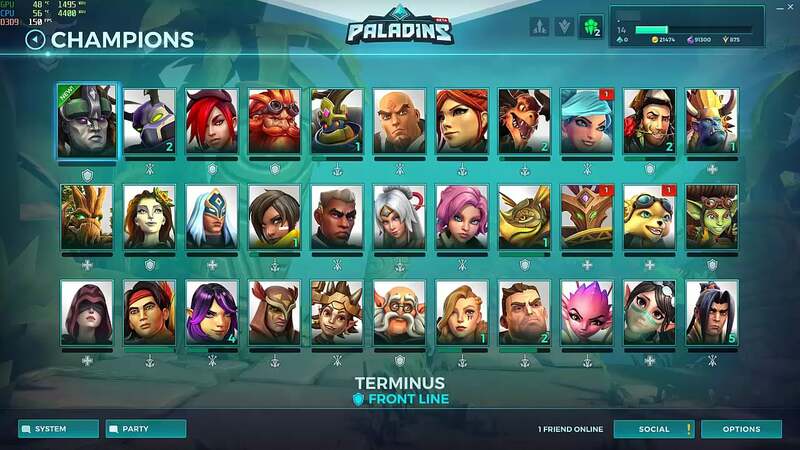 Paladins' roster consists of a whopping 37 characters for founders. These characters, known as Champions are split in to four different classes. First up is Front Line, these function as the anchor of the team. Front Line champions are designed to block enemy fire and disrupt enemy objective captures. The Damage Class consists of Champions with high damage output and average health, perfect for skirmishes and big firefights. 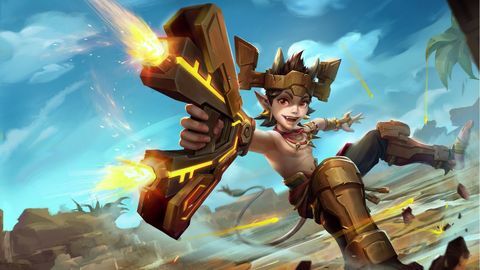 Support Class Champions feature life saving healing abilities and buffs and are crucial for any team to get a win. Last but not least are Flank Class Champions. These characters focus on mobility and being able to quickly traverse the battlefield to get behind the enemy team to deal damage while they're distracted. These Champions have the lowest health but are crucial in keeping the opposition on their toes. While these classes aren't anything new to the hero shooter genre, there's still a wealth of individual Champion customisations to make your character play to your strengths. To achieve this, Paladins does something a bit different. A card based load out system allows players to select six cards for their Champion at the start of a match. Each of these cards provides a specific buff or enhancement to the character's abilities. You unlock more of these cards as you level up your favourite Champions, opening up further opportunities to tweak your load-out to perfection. 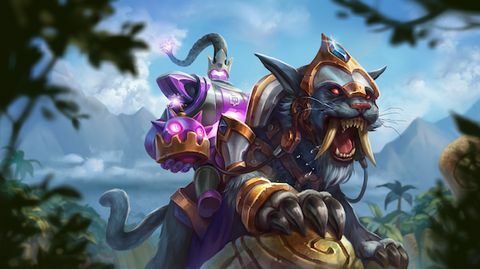 You may find that your Champion's main ability feels a bit under-powered for your play style. Simply change your cards to something that buffs this move. The variety on these cards is somewhat staggering and will often lead to no two heroes being exactly the same at high level play. You may find that a card that redirects a portion of enemy damage back at them, makes all the difference for your favourite Champion. It can all feel incredibly overwhelming during the early hours, but take the time to go through the Champions and their abilities and you'll soon start to feel right at home. I found myself wishing other games in the genre would "borrow" some of these elements as they really help to add a great layer of strategy to the shooter. 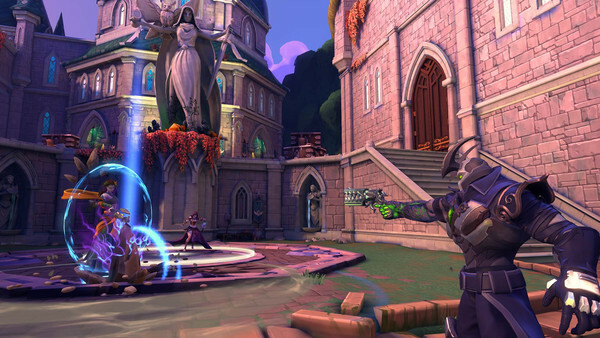 The card system isn't the only aspect that sets Paladins apart from its competitors. Taking cues from MOBA gameplay, Paladins locks in your Champion selection for the entire match. I found this helped to form a solid team structure when everyone wasn't constantly swapping to other characters after every death. This system forces you to work with what you've chosen and gives characters you wouldn't typically play as a chance to win you over. With the roster being as huge as it is, some of the characters can feel a little bit samey but, for the most part, there will be a Champion for every type of player out there. I honestly preferred some of the Champion designs in Paladins over those in Overwatch. The high fantasy with a dash of sci-fi style leads to some truly memorable characters. 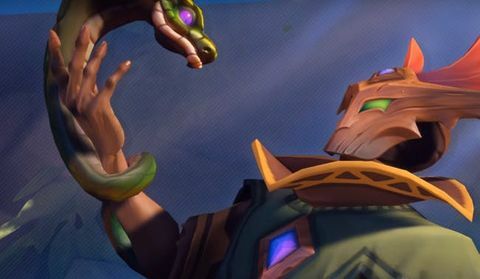 A few standouts include Mal'Damba, an awesome looking wood spirit whose primary weapon is a snake that spits globs of poison at enemies, and Moji, a pint-sized champion who rides on a double headed turtle that fires magical blasts out of its mouths. There are too many Champions to get in to here, but rest assured the majority of them are an absolute blast to look at and play. 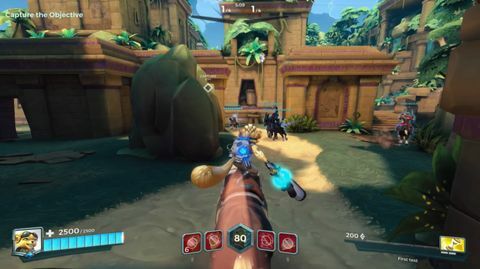 As if all of this wasn't enough, Paladins also allows you to purchase items at the start of each match to buff your abilities even more. These items only last for a single match but add an extra aspect to the game once you start to learn how they function. Thankfully you can turn on auto-purchase so you can just focus on the action, with the game making the item selections for you. These are purchased with in-game credits you earn for completing simple challenges and quests like "Win five Matches". Much like Fortnite, you can also spend real world cash (or crystals you've previously earned) on a battle pass. This will increase the amount of cosmetics, credits and chests you earn as you level up. These unlocks are all cosmetic so there's no worry of pay-to-win nonsense turning up. Paladins is your standard affair when it comes to the modes on offer. Tried and true Team Deathmatch sets teams towards a goal of forty kills, offering a perfect entry point for beginners. 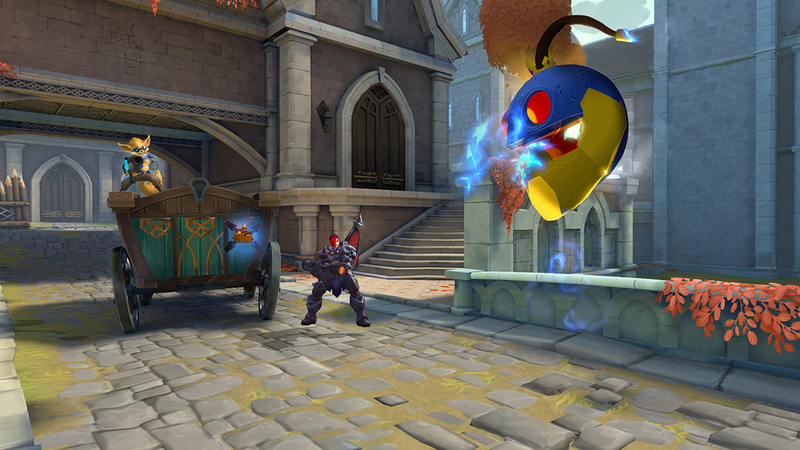 Onslaught mode is an objective based match, tasking players with battling for control of a specified area. The main mode on offer however is Siege, a match type where two teams of five push to the central point of a large map, with the goal of controlling the point and moving the payload towards the enemy base. It's absolutely key that teams work together and chose their champions carefully to complement each other. A well oiled team will win every time when going up against a squad of lone wolves. 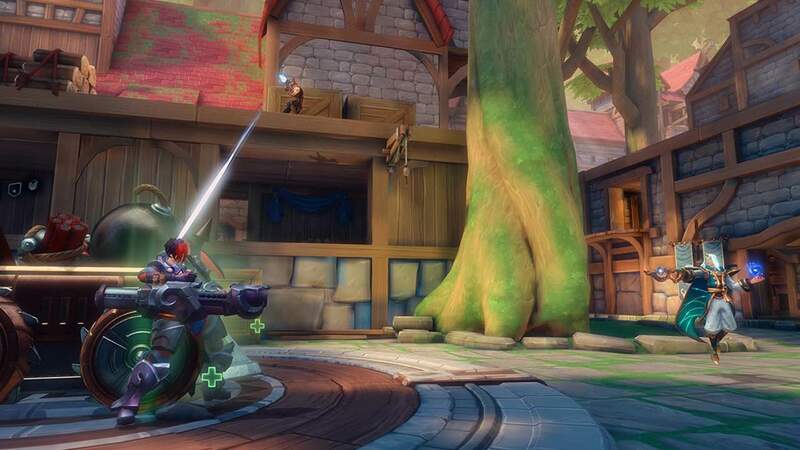 One of Paladins' biggest downfalls is the length of time spent waiting – both in matchmaking and load times. I've had more than my fair share of five minutes (and longer) wait times when looking for a match. Another irritating aspect is that if one player doesn't select a Champion on time, everyone will be booted back to the menu to look for players again. The fact that I play with with the TV on in the background made these long waits a bit more bearable but I can see it frustrating some players to no end. 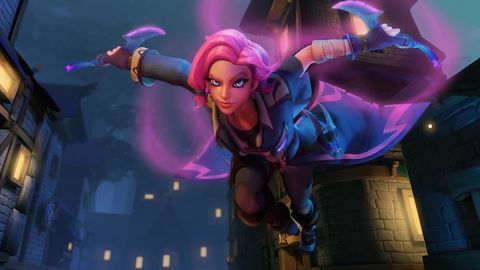 I'm hoping that once Paladins becomes free-to-play at a later date, more players will jump in and reduce those long wait times. It wasn't like this all the time though. Sometimes it takes less than a minute to find a game but there's not a lot of consistency in wait times. Paladin's is still technically in early access so it's fair to assume that these issues will be ironed out in future patches. 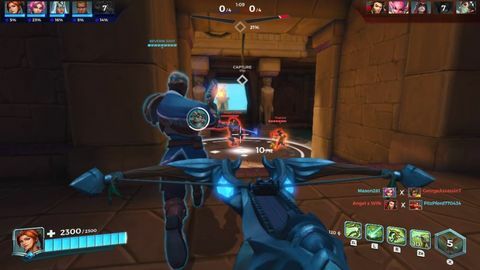 Paladins runs incredibly well on the Switch; whether in docked or handheld mode (I spent 90% of my time with my Switch on a tripod, using my pro controller). It somehow manages to maintain a fairly solid 60 FPS which is borderline black magic and looks great on the small screen. I did experience textures that were occasionally slow to load but these never pulled me out of the game. 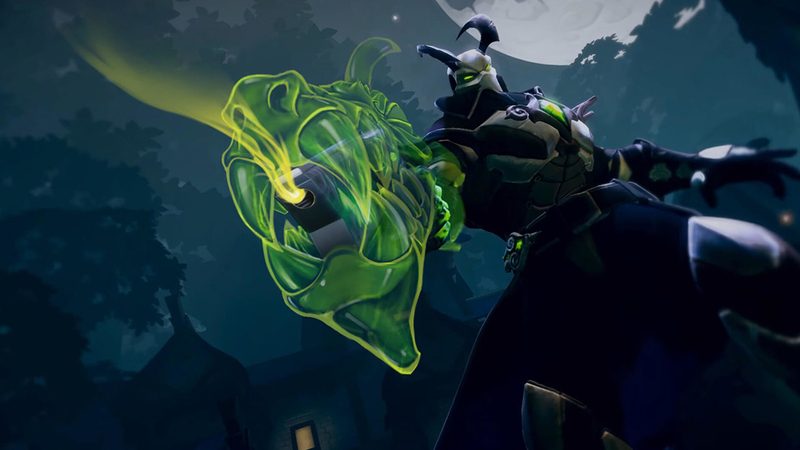 As I stated before I prefer the art style of Paladins to that in Overwatch – there are just so many great characters with unique abilities and designs. It's a shame there isn't a bit more backstory and lore as I found the Champions and setting to be quite compelling. If only Hi-Rez had that sweet Blizzard budget to make some animated character shorts. Heck, I'd even love to see a Paladins Comic book just to make me care a bit more about the universe. 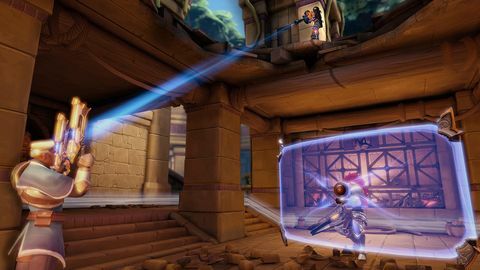 Paladins feels right at home on the Switch and plays wonderfully too. It can feel a bit cramped in handheld mode as most shooters do on the Switch, but playing with the pro controller feels sharp and precise. There's no gyro aim which is a shame, as that tends to make a huge difference. With it being the only game of its kind on the console, I can't recommend it enough to fans of online hero shooters. I can see myself playing Paladins for the months to come if they continue to support the game with new Champions and cosmetics. 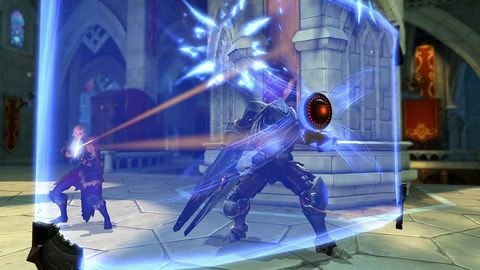 Don't be put off by all the "it's just a poor Overwatch clone" talk as Paladins is a strong shooter with superb character designs and some fun unique systems in play. Ups Mostly smooth 60 FPS frame-rate in docked and handheld. Great looking character designs. Heaps of customization options.